Ian Cook has an Exhibition here. IJC Photography is run by Professional Photographer Ian Cook. 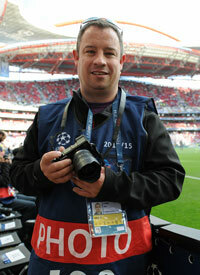 Ian sporting coverage ranges from Football, Rugby, Cycling, Swimming and various other sports. Ian has had work published in Regional, National and International Newspapers and various websites and publications. IJC Photography also do extensive Wedding Packages that are designed to meet the requirement of his clients.